Christmas is the perfect time of year to break out the craft supplies. Even people who would never normally consider getting creative, come Christmas time suddenly start busting out the glitter and battling with a glue gun. 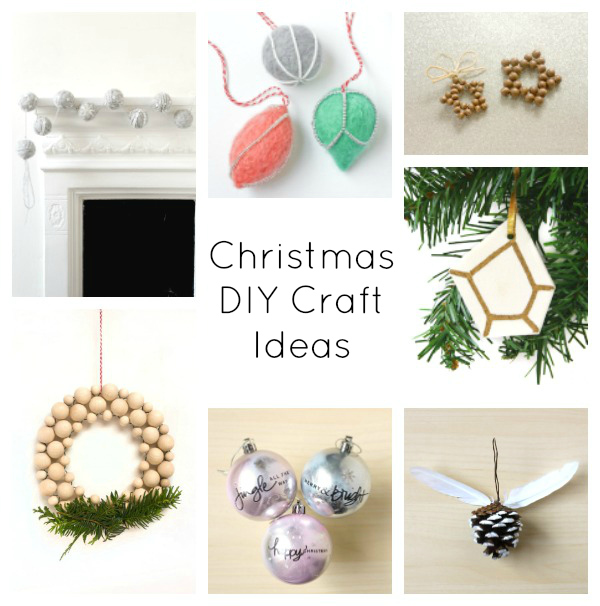 Since starting blogging, I have come up with a few Christmas craft DIY ideas, and thought it was about time I made a little round up post! I do seem to be heavy on the hanging decorations and you can clearly see the struggle of taking photos during a British winter. For me, making is all part and parcel of Christmas. As a kid, I was always making glittery cards, or an impromptu angel halo out of tinsel. Then as a teenager, I started making presents of decorated notebooks and beaded jewellery. This year, I have managed to make all my Christmas cards and a couple of presents, and there may even be a bit of baking! So whether you make a Christmas cake, presents, cards or decorations, go grab the glitter and glue gun and have fun! If you have had a go at making any of my Christmas craft DIYs, or have any questions, feel free to comment below or message me on Twitter, Instagram or Facebook! Happy Festive Making!